The photo shows Porto Koufou and was taken during our own yacht charter holiday in the Northern Sporades in the Aegean Sea of Greece. The popular yacht charter regions of the Aegean sea consists of various archipelagos, each with its own distinctive history and architecture. And the besides these important differences the northern islands are often fertile and covered with trees, while the windswept Cyclades and Dodecanese in the south are mostly barren. The combination of blustery rocks plus lack of perennial streams and rivers surely gives most of these southern aegean islands a different character than for instance the Eastern Sporades and the Northern Sporades. Yet, yacht charters are more in demand in the Cyclades and Dodecanese because of better transport and possibility to combine sailing holidays and yacht charters with a visit to Athens. Therefore the possibilities of yacht charters are far greater in the Saronic Gulf and nearby Cyclades (think of Syros and Paros) than in the north Aegean where the only sailing port to speak of is Skiathos marina. 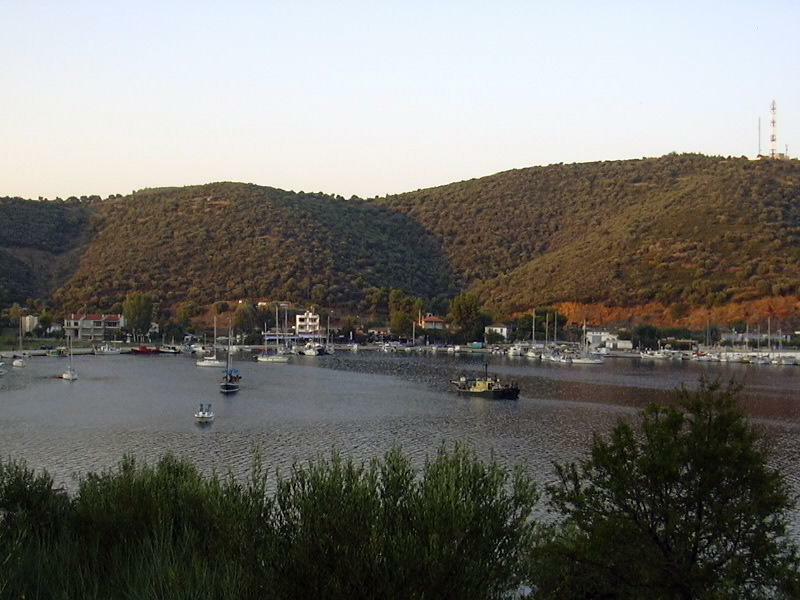 From Skiathos to Porto Koufou (see photo) it is normally a day or two sailing or motoring. Porto Koufou is absolutely worth the extra mileage and is conveniently located on the middle headland of Chalkidiki.
.: Back to our logbook: yacht charter holidays in the Aegean Sea :.